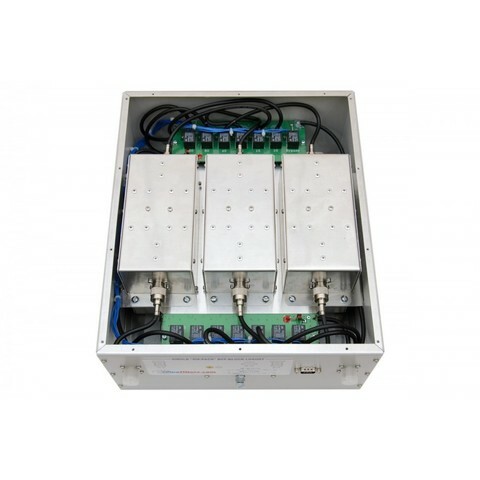 The Six-band (160, 80, 40, 20, 15, 10 Meters) and bypass, BPF-Combo block, is a remotely controlled unit designed for serious SO2R or MS stations. BPF-Combo Block consist of 6 filters (160, 80, 40, 20, 15, 10 Meters) and bypass, in aluminum housing. Can be mounted on horizontal or vertical surface. The kit includes also control box, which can be connected to the BPF-Combo Block via 8 wire control cable, up to 30 meters long. 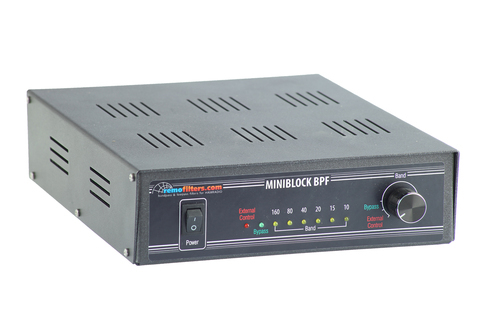 Each BPF-Combo Block supplied with the data on insertion loss (S21) and return loss (S11) parameters (measured by Vector Network Analyzer), frequency response graph and VSWR graph. These plots show the most detailed characteristics of each particular filter and Bypass mode.